Park Plaza Hotels & Resorts has become the first hotel group in the UK to be awarded AIM Gold for its meetings facilities and services. All seven Park Plaza Hotels & Resorts were awarded the standard following an inspection against 50 set pieces of criteria including business planning, customer environment, booking process, pricing and service delivery. The hotels awarded AIM Gold are Park Plaza County Hall London, Park Plaza Leeds, Park Plaza Nottingham, Park Plaza Riverbank London, Park Plaza Sherlock Holmes London, Park Plaza Victoria London and Park Plaza Westminster Bridge London. Greg Hegarty, regional general manager UK of the PPHE Hotel Group, said: "A great deal of time, dedication and effort has gone into working towards this prestigious achievement and I am delighted to not only see the individual hotels awarded AIM Gold, but also to be the first hotel group. 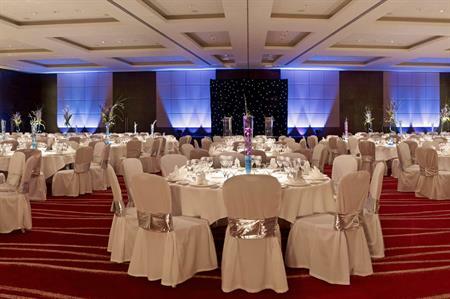 "Park Plaza Hotels & Resorts’ properties pride themselves on providing excellent meeting space and service at competitive prices and our city-centre locations prove ideal for the inbound events market." AIM is administered by the meetings industry association (MIA). Jane Longhurst, MIA chief executive, added: "To be awarded AIM Gold is a significant achievement for any meetings and events venue. We have worked closely with PPHE Hotel Group in the UK for the past six years as members of the mia, so I am personally delighted to see the group become the first hotel company to be awarded AIM Gold. "Now that they are all 'AIM Gold venues' bookers and planners who don't have experience of the Park Plaza Hotels & Resorts’ product can be assured that they will receive the highest level of quality facilities, high-specification technology and equipment, with exceptional catering and superior customer service."